Singer Rihanna has taken her father to court in the US, accusing him of exploiting her name to further his entertainment business. Fenty Entertainment did not immediately respond to a request for comment, BBC News reports. The lawsuit says Rihanna owns trademarks in the US for the Fenty name and has sent formal "cease and desist" requests. "Defendants continue to this date to use their misrepresentations for their commercial advantage and to mislead the public," it says. "This fraudulent conduct harms not only plaintiffs but the public at large and requires judicial intervention." Mr Fenty, with whom Rihanna has said she has a difficult relationship, started the firm in California in 2017 with business partner Moses Perkins, according to the lawsuit. 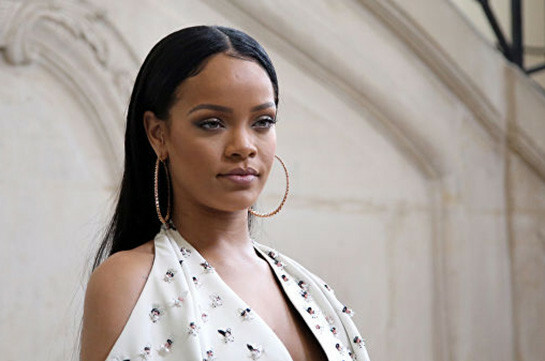 A press release, posted on the firm's website until "at least October 2018" announced the launch of the firm "with" Rihanna, despite the fact that she was not involved, it says. In another instance, Fenty Entertainment entered negotiations for Rihanna to perform 15 shows in Latin America for about $15m, without her authorisation, according to the complaint. "Although Mr Fenty is Rihanna's father, he does not presently, nor has he ever, had the authority to act on Rihanna's behalf or had the right to use her Fenty mark, to exploit the goodwill of her Fenty brands or to solicit business on her behalf," it says. The lawsuit says these kinds of activities violate advertising, competition and privacy laws and risk "serious irreparable injury" to the Fenty brand if not stopped.